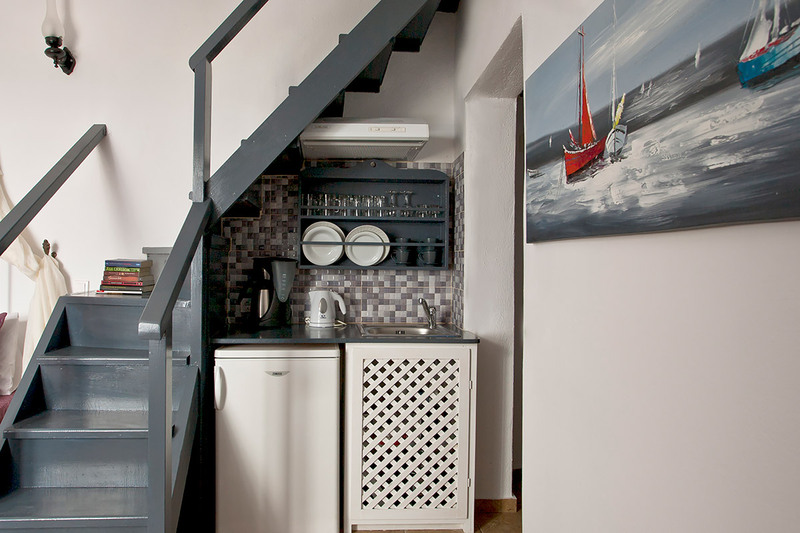 Superior apt. 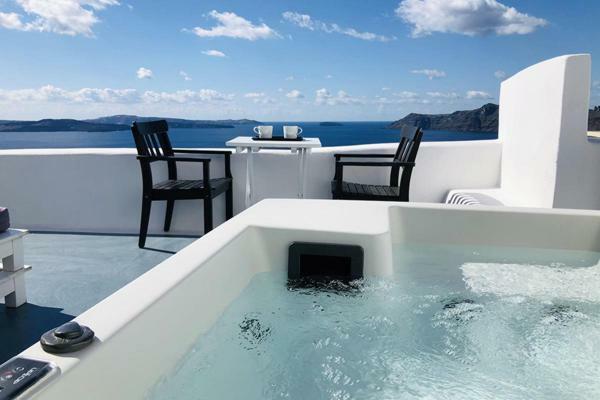 is located above the pool's level, top floor. 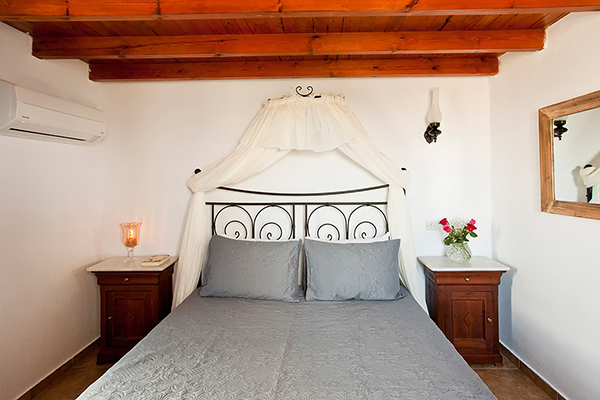 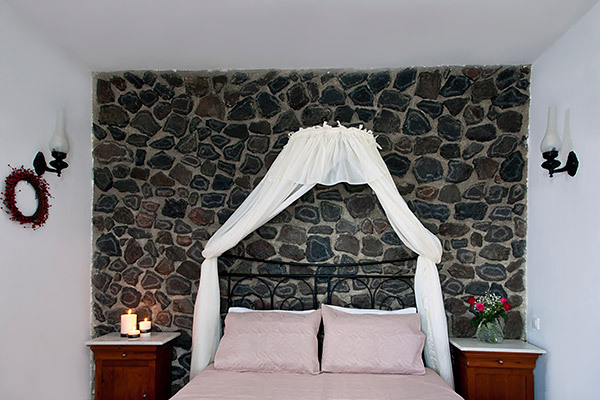 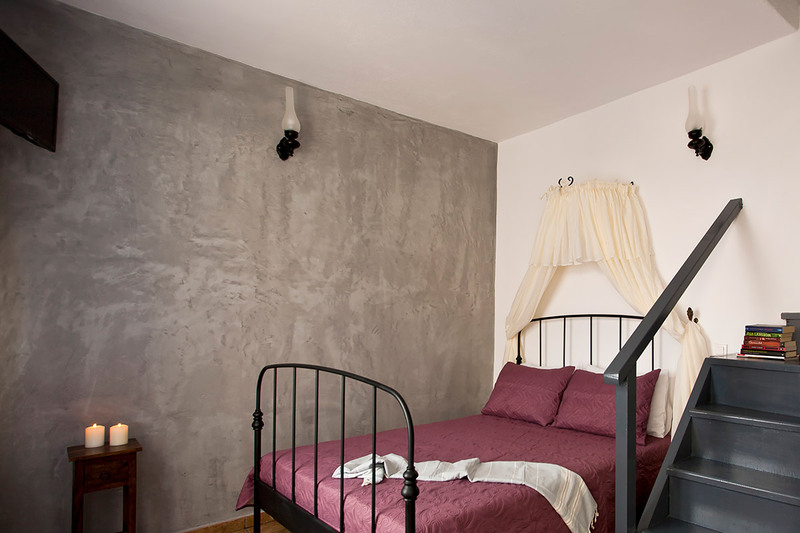 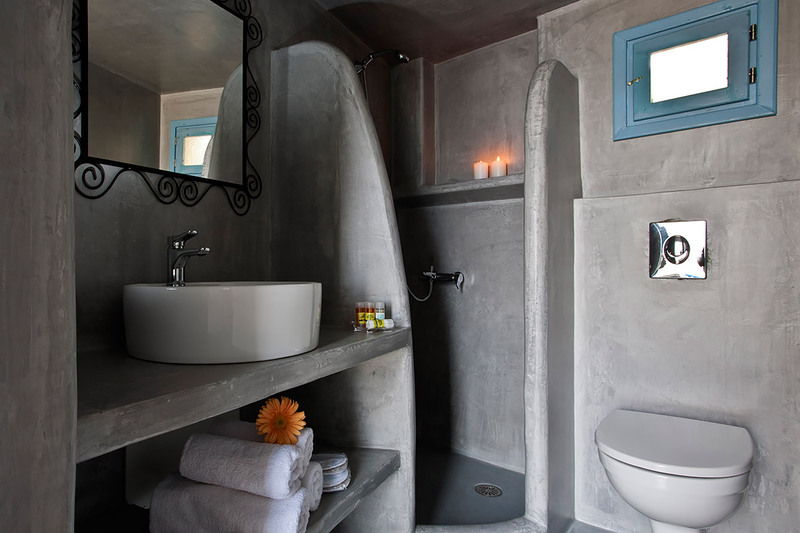 It provides you with an iron double bed and a traditional style bathroom with shower. 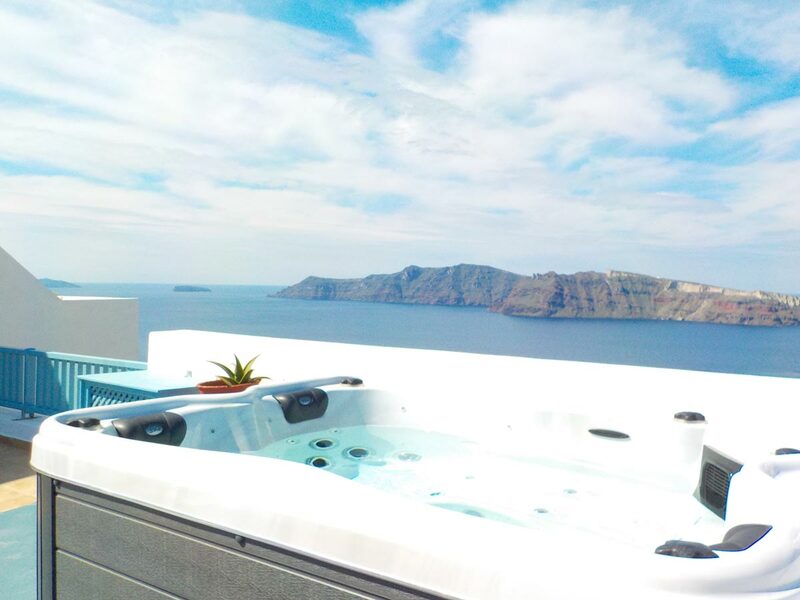 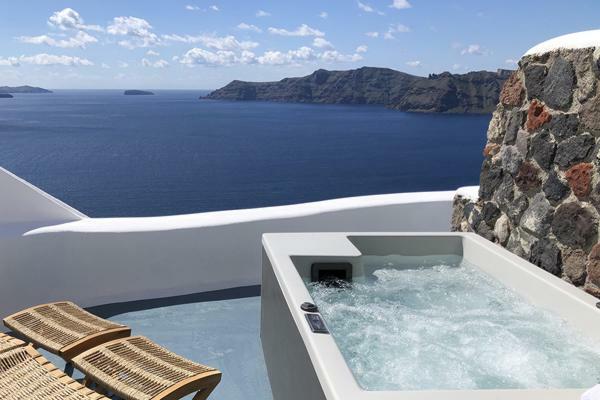 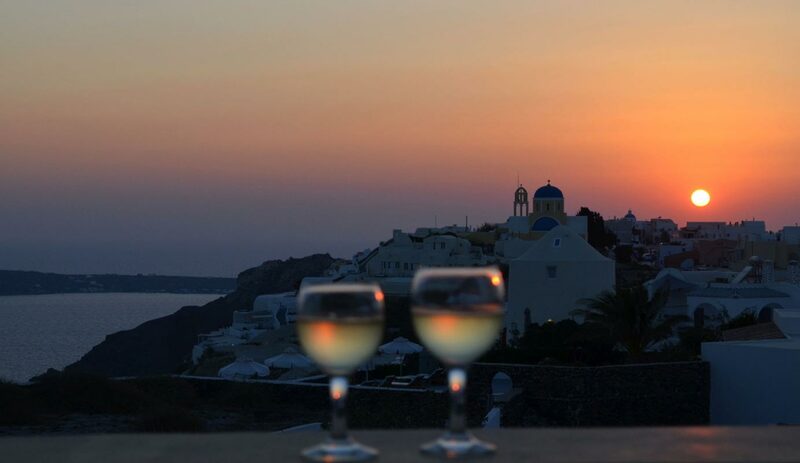 It also features a Private furnished terrace with an outdoor jacuzzi, offering amazing views towards part of the Caldera gulf, Oia, Thirassia island and the famous Oia's sunset. 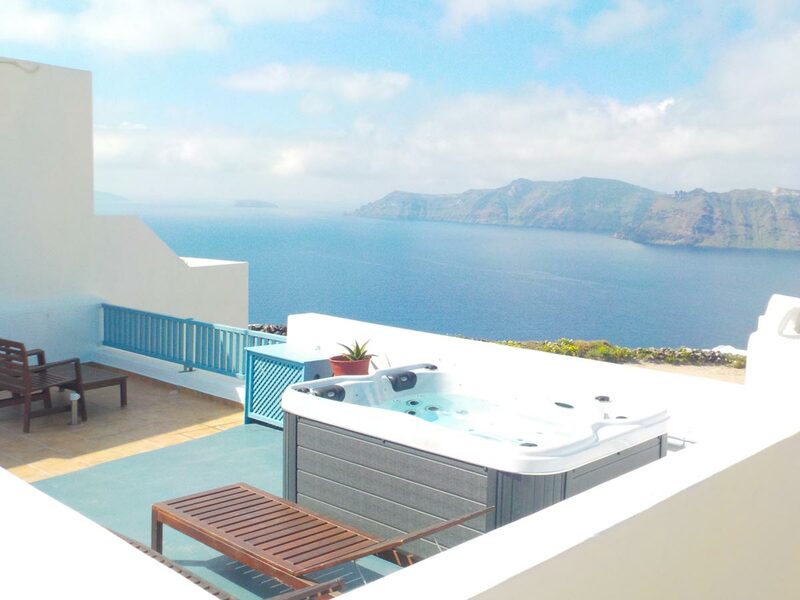 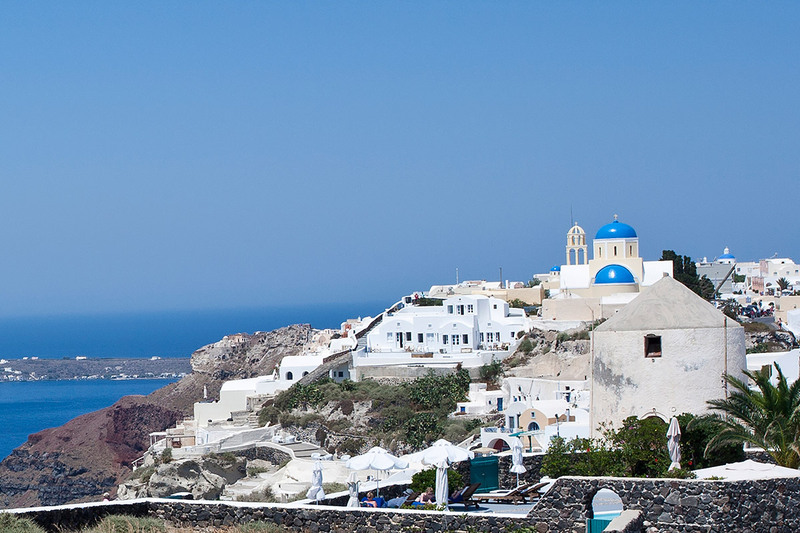 It also has an easy access to our wonderful roof terrace which offers spectacular views to the Caldera, the volcano, Oia, Imerovigli Akrotiri and Thirasia island. 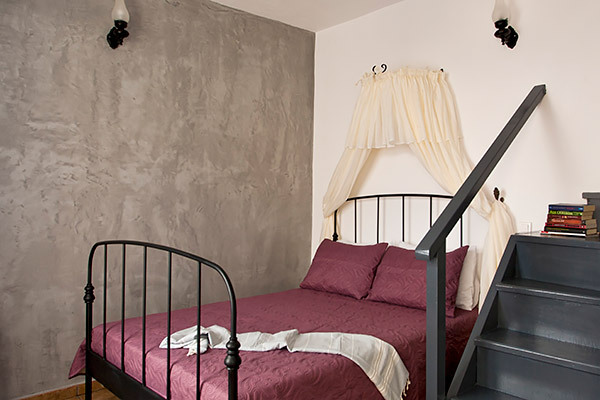 Please note that this room type can accommodate an extra person (on request).